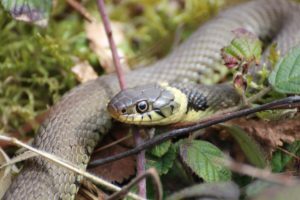 There are two species of snake found in Herefordshire: the Grass or Ringed Snake (Natrix helvetica) and the Adder or Northern Viper (Vipera berus). This is our largest snake species at 75 – 85 cm in length. It has an olive green or greeny-brown body colour with a very distinctive yellow and black collar behind the head. The belly is black and white, similar to a chessboard pattern. This snake is not venomous. This is by far the more common of the two snake species in Herefordshire. It is normally found in or near water, mainly because this is where the grass snake finds its prey. It favours marshy areas, rough grassland, woodland edges and rides, heathland and gardens, especially the more wild ones with nettles and long grass, and perhaps a well-established pond. Its prey consists of amphibians, fish, and very occasionally small mammals and birds. 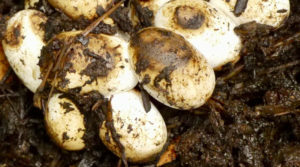 This snake is able to swallow toads even though the toad has toxic secretions. If an attempt is made to pick up this species, it will sometimes release a foul smelling fluid, which is very off-putting. If this fails to deter, it will feign death, lying on its back, mouth open, tongue out (see photo on left), looking very dead until you turn your back, when it will disappear into the undergrowth. Best to leave it alone and watch from a distance. The grass snake will frequently lay its eggs in compost heaps if conditions are right. 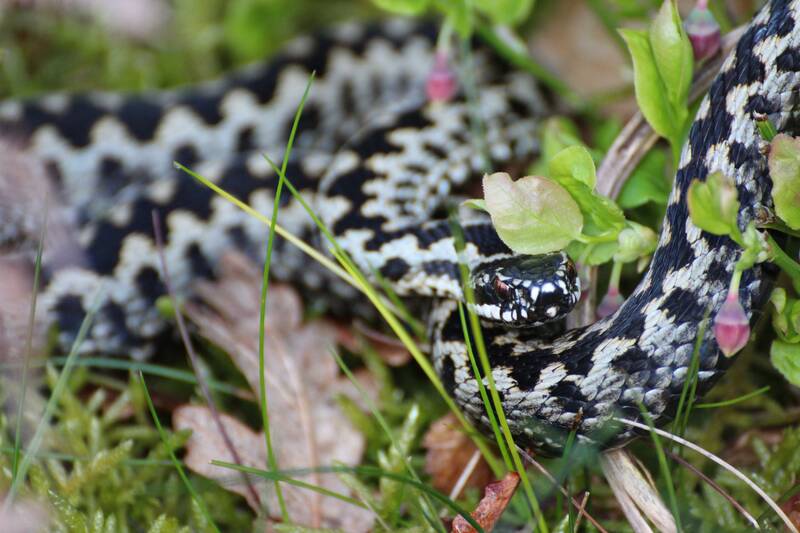 The Adder is 50 – 60 cms in length. It is a short squat snake with a pronounced zigzag down the back and along the vertebrae.  Males normally have a black zigzag with a light grey/white background colouration, a short tail and triangular head. Females have the same body characteristics but their colour is more reddish-brown. Both sexes have red eyes with cat-like pupils, and normally a V or X marking on the back of the head. The females grow longer than the males. The Adder gives birth to live young, which are reddish-brown in colour, like the adult females. The Adder is our only venomous snake, but it is not very common, being restricted to heathland, rough grassland and woodland edges, or where bracken grows thickly. It is mostly associated with sandy, chalky or rocky areas. It has a patchy distribution within Herefordshire, as much of its former habitat has become fragmented or overgrazed. 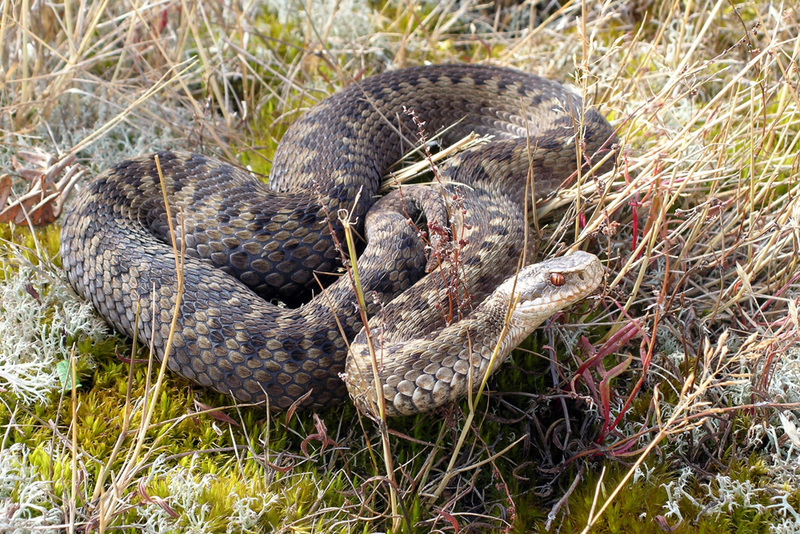 Nationally, Adders are becoming scarce due to these threats. The adder preys on voles, mice, lizards, slow worms and very occasionally small fledgling birds. 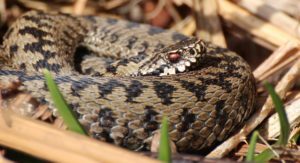 If you encounter an adder on your travels, there is nothing to be afraid of, as they tend to hide as soon as they are disturbed. 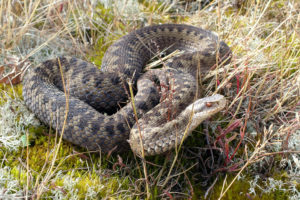 People are very rarely bitten, and if this does occur, it is usually because the Adder has been trodden upon or harassed. Bites are not normally life-threatening, but medical attention is always advisable. Adders flatten their bodies out when sunbathing, to maximise the absorption of the sun’s heat. Their lifespan can be over 15 years.